Jagruti's Cooking Odyssey: Steamed Moong Daal Halwa - Steamed Yellow Lentils Pudding - Unconditional bond of Love, Raksha Bandhan ! 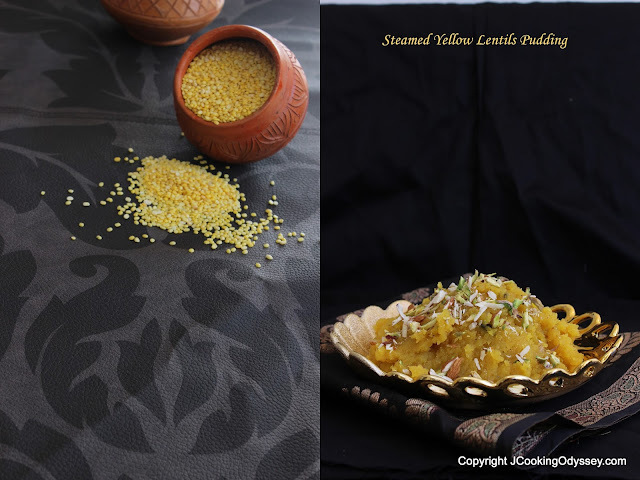 Steamed Moong Daal Halwa - Steamed Yellow Lentils Pudding - Unconditional bond of Love, Raksha Bandhan ! Today is the Indian festival of Raksha Bandhan or Rakhi. It's a day brothers and sisters celebrate their relationship, unconditional bond of love all over the world ! The name "rakhi" refers to the string that is tied around the brothers hand by the sister. 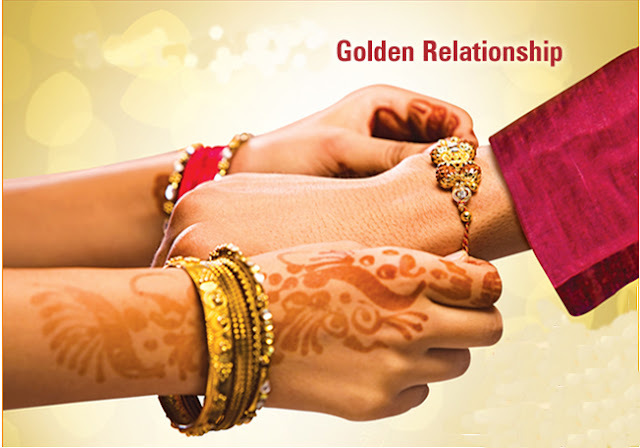 Raksha bandhan has been celebrated in the same way with the same traditions for many years. 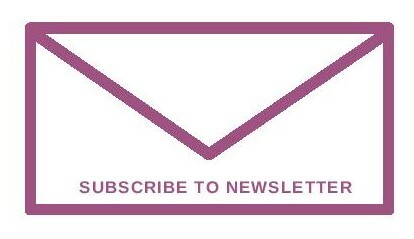 Only with the changing lifestyle, the celebrations have become more elaborate and lively. This day has an inherent power that pulls the siblings together. The increasing distances evoke the desire to be together even more. All brothers and sisters try to reach out to each other on this auspicious day. The joyous meeting, the rare family get-together, the feeling of brotherhood and sisterhood calls for a massive celebration. 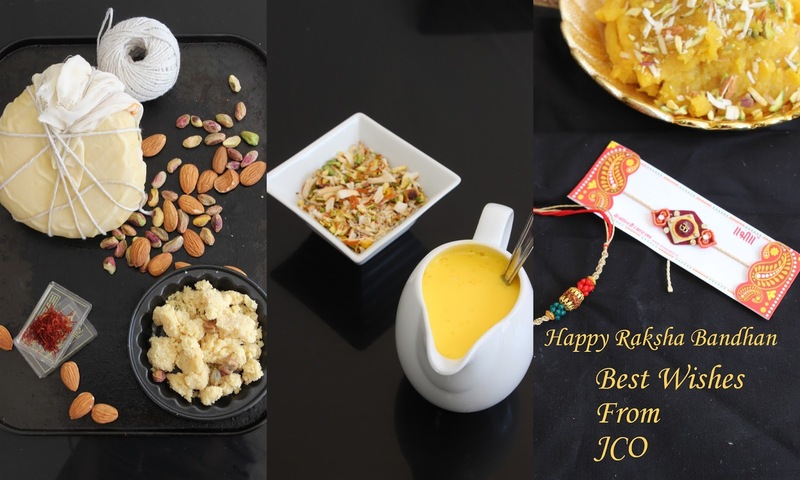 On the day of Rakhi, sisters prepare the pooja thali with diya, roli, chawal, rakhi thread and sweets. The ritual begins with a prayer in front of God, then the sister ties the Rakhi to her brother and wishes for his happiness and well-being. In turn, the brother acknowledge the love with a promise to stand by his sister through all the good and bad times, wishes her and her family a good life and bestows her gifts and presents. This festival is always much awaited for in my family! My both kids celebrates rakhi with so much enthusiasm..:) Every year I see that, they both are bonding with each other more and more, and that's the real happiness for me and I cherish those moments all my life !!! 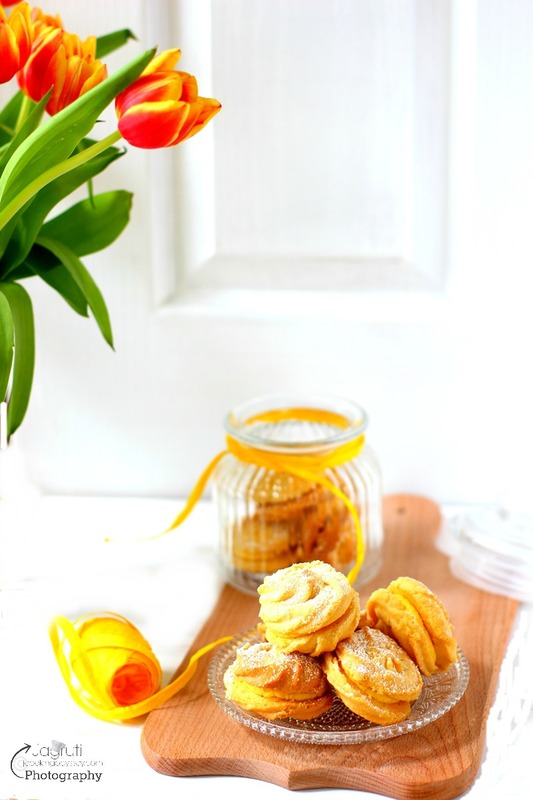 It promises a lot of attention, presents, dressing up and of course, something sweet to eat! This year, I have decided to make Steamed Moon Daal Halwa to celebrate this special day! 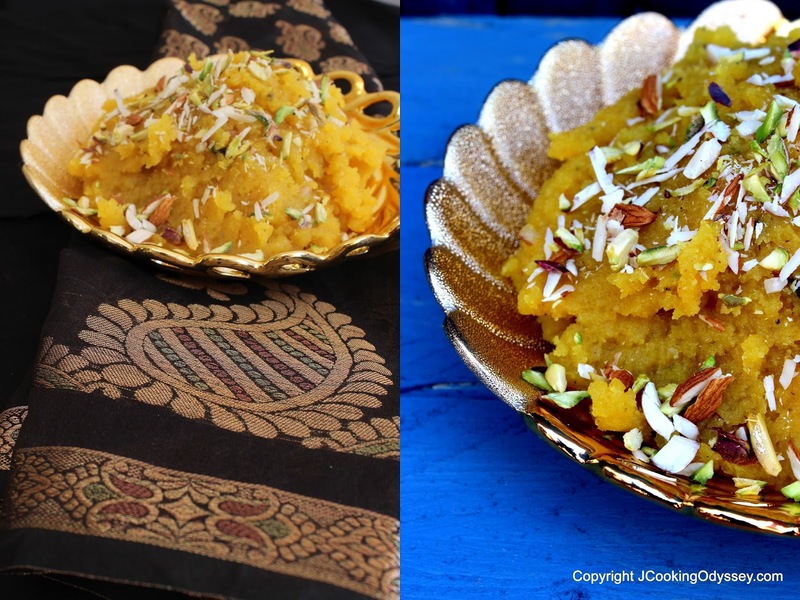 Moong daal Halwa is a traditional Rajsthani delicacy, especially made during celebrations and auspicious festivals. Rich, creamy decandant halwa cherished by everyone ! 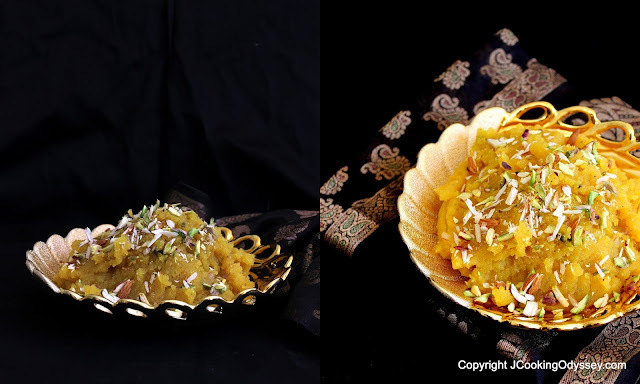 Even I have prepared this halwa maybe once or twice, but now I have little freedom to make since I've found this method which takes less time to cook and maybe you can skip some fat too. 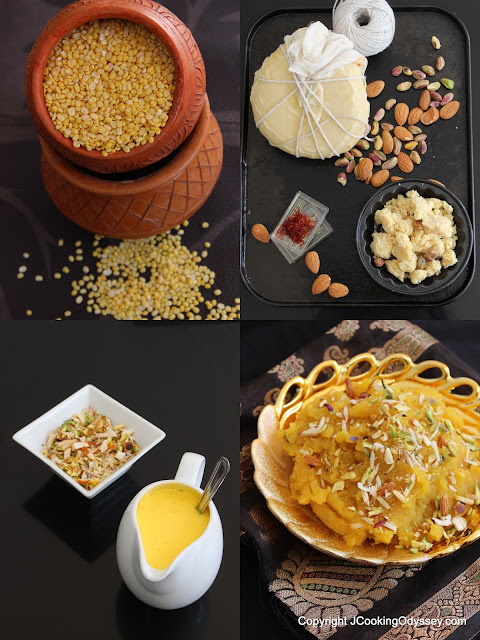 By steaming the daal mixture you don't have to worry about frying daal mixture for to long, also one thing is guarnteed that halwa is cooked properly because many make this mistakes that they don't fry enough and daal stays uncooked. 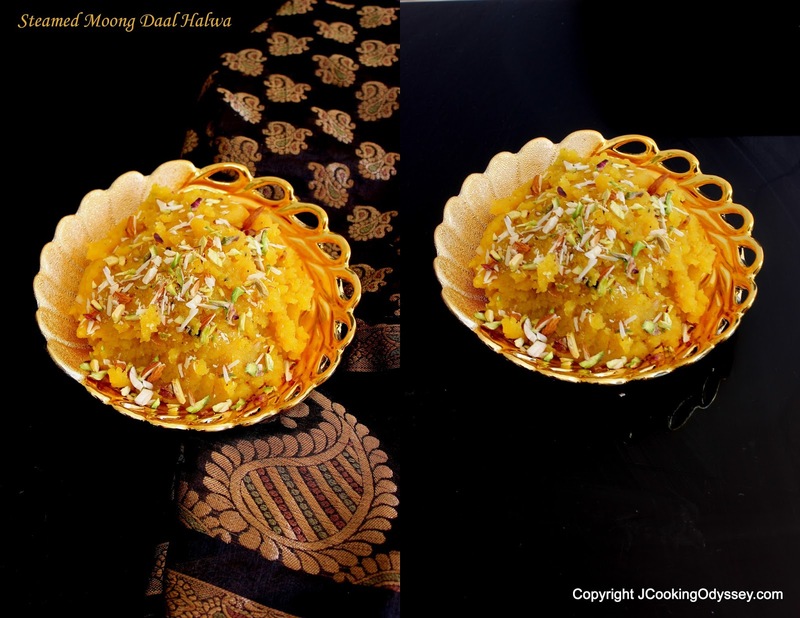 Although method is slightly different, guaranteed you'll get velvety, creamy and aromatic Moong daal halwa. Every spoonful halwa vanishes in your mouth and you'll feel A M A Z I N G , just close your eyes and you'll think you found H E A V E N on earth ! Wash moon daal with clear water at least 2-3 times. Soak daal for 2-3 hours. Grind soaked daal into a fine paste in the grinder without water. 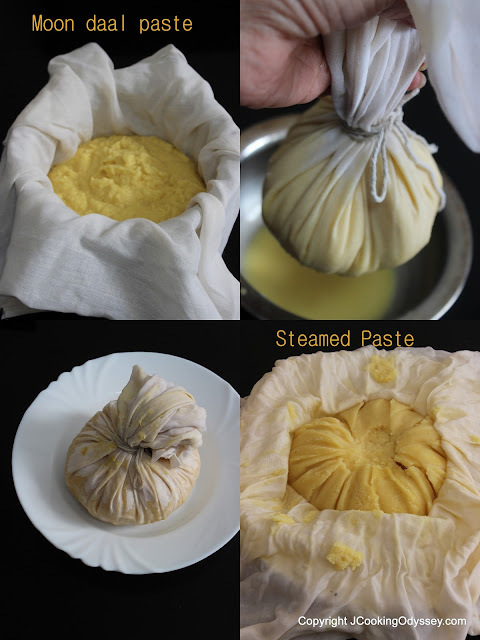 Transfer moong daal paste on a muslin cloth and tie a knot so paste doesn't come out. Add 1/2 cup water in a pressure cooker and steam daal paste which is in muslin cloth till 3-4 whistle. Let it cool naturally, grate this steamed daal and leave it aside. 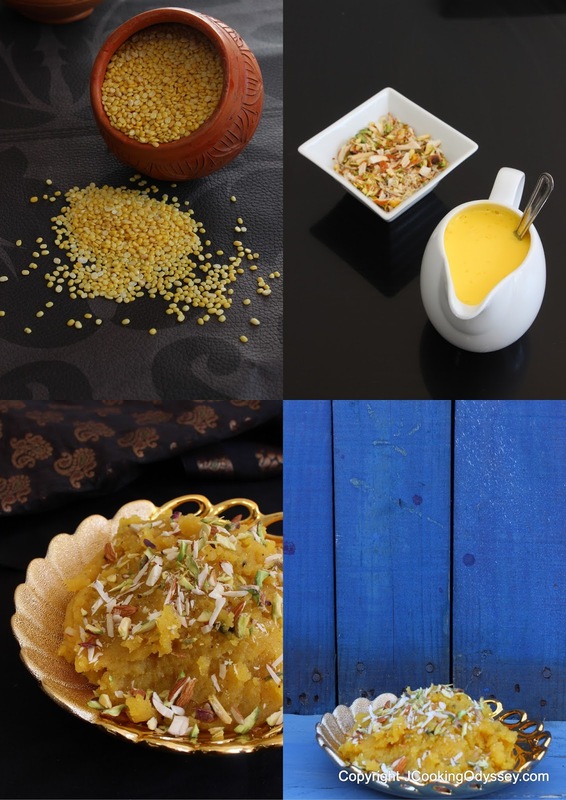 While moong daal mixture is cooling, make sugar syrup ( 1/2 cup sugar - water (just the amount to cover the sugar), cook syrup about 5-6 minutes. Mix 1 tbsp sugar and saffron and grind into a powder, mix with luke warm milk or cream. Leave it aside. Take half amount of ghee and heat in a heavy bottom pan, add 2 tbsp gram flour and fry till light brown on a very low heat. Add grated moon daal paste and fry till light brown it will take 15-20 minutes. now add remaining ghee. Add saffron milk into the fried daal mixture. Mix and cook on a medium heat add khoya and keep mixing and stirring. Add sugar syrup and cardamom powder and half of the slivered nuts. Keep stirring till syrup dries up, not rock hard but little loose. Transfer in a serving bowl, garnish with slivered nuts. If halwa gets little harder when it cools, warm up in M/W for few seconds. Amazing post for raksha bandhan. Halwa looks very tempting.. Awesome pics of the halwa and a happy belated rakshabandhan to you and and your family. halwa looks so tempting .. very nice pics.